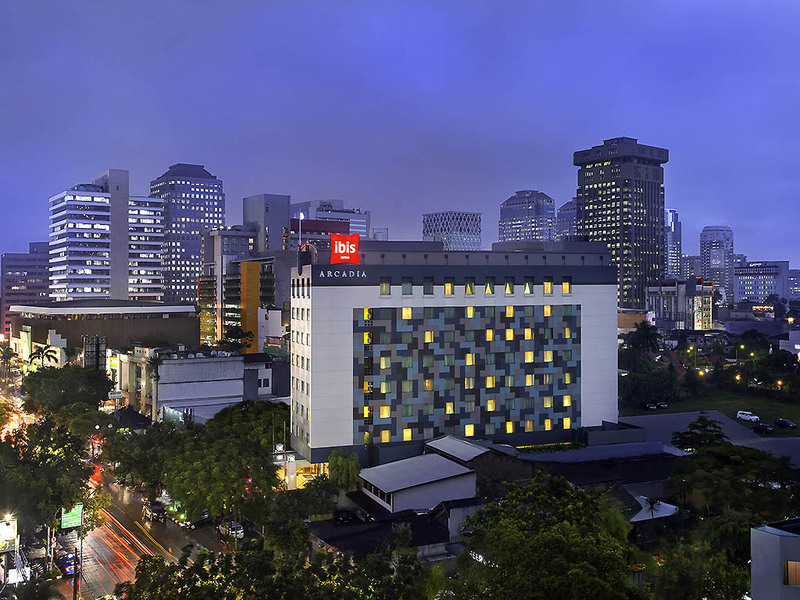 ibis Jakarta Arcadia is an economy hotel located in the Central Jakarta Business District area on the bustling Wahid Hasyim street. This prime located hotel can be reached from Gondangdia Railway Station and close to embassy offices and the city's most popular shopping centers Tanah Abang and Grand Indonesia Mall. Enjoy seamless-yet-affordable business solutions in meeting rooms with capacity of up to 100 guests and a business center. Have some relaxation at the all-day dining venue and the spa. Enjoy ibis Arcadia with convenient central location, close to major shopping centers, international bank offices, embassies, cinemas, traditional massage and wellbeing SPA, surrounded by happening places with day and night entertainments. La Table Restaurant offers a wide spread of international and local cuisine. This is the right choice to get your best unforgettable culinary experience. I was so disappointed with the hotel room. Toilet was extremely dirty, bathtub especially, towel had a smell. the worst was the aircon. it went off for a long time and left all of us perspiring in the room. lighting was equally bad. extremely dissappointd with Ibis Arcadia... the only thing good is the reception and doorwoman is very friendly, good service. please improve on the quality of the hotel. Everyone is very friendly and welcoming. A hotel, as usual living environment. The hotel outlook was good, the location had seems in a residential area. In the restaurant and room have the smoke scope. But the room does not look extraordinary, old doors, fittings which supposed to be updated. Short. Room interiror was old. Room layout was not at ibis usual standart good functional level. Breakfast was alrigth. The staff was friendly and helpful. I came at night as a late coming and served by a nice and warm staff. I enjoyed my rest or sleep and the after I became fresh to do my activity. I had such a nice breakfast and (again) I enjoyed it. Thank you Ibis. spend 1 night of business trip, overall is good eventhough the check in takes long time and the price currently quite high, more than IDR 650.000 per night without breakfast. Good communication with the staff, strategic location, good breakfast, the room is good for rest. But the bathroom door needs repairment. The towels are not too clean, there are visible marks in it. At one of the night, the air-con actually provide some noises, caused me awake and very hard to get back to sleep anymore. Other than that, it is quite good. I was arrived at Ibis Arcadia hotel around 6pm and welcomed with flat face when I am check in. I think it will be great if you welcome all customer, however they are with warm smile. Other service was so so.. nothing impresive nor bad. Air conditioning along the aisle not really cool. Aircond leaking, toilet doesn't function well. Water pressure issues.